Hiking is often not the first thing people think of when they think of the water oriented San Juan Islands, but there are some great hikes! Mt Finlayson (it’s much more mellow than it sounds) is one of my favorite hikes in the whole state! 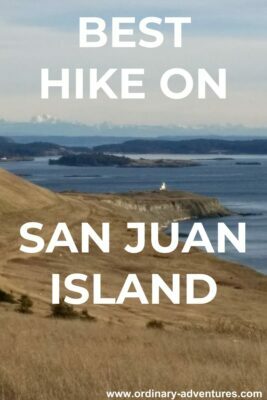 It’s worth the effort to go to San Juan Island for it, and it’s completely a must do if you’re already on the island as it’s the best hike on San Juan Island! I think this hike is especially enjoyable in late fall, winter and spring, when the island is less crowded and getting and staying there is easier and less expensive. I’ve mentioned it before as a favorite for a first day hike on New Year’s Day! It does require a bit of effort to get to the island. The most straightforward method to get to this hike is to drive to Anacortes and take the Washington State Ferry to Friday Harbor, and then drive the 7 miles to the trailhead. In the summer months, the ferry requires a reservation. The ferry is fairly expensive with a car, so another option would be to walk on or bike on the ferry (see my previous post for how to do that). From the ferry dock, you could bike to the trailhead which is on Cattle Point Road in San Juan Island National Historic Park. The Jakle’s Lagoon Trailhead starting point is what’s described here. Another option is to take the bus, which is a great option for getting around the island but only runs in the summer (if you took the bus you would avoid most of the hassles of visiting in summer!). In the summer you can also take the Victoria Clipper directly from downtown Seattle to Friday Harbor (passenger only). The Mt Finlayson trail is a 3.5 mile hike with about 400 feet of elevation gain, so you get outside and get some good exercise but it’s not too strenous! This trail starts at the Jakle’s Lagoon trailhead on Cattlepoint Road. This trail system crosses multiple land agencies, including the National Park Service, but it does not require a parking pass. You can find a helpful map of the whole trail system here. You’ll start out walking along the side of the forest through grasslands with great views to the water, the Cattle Point Lighthouse, other islands and the distant Olympic Mountains. 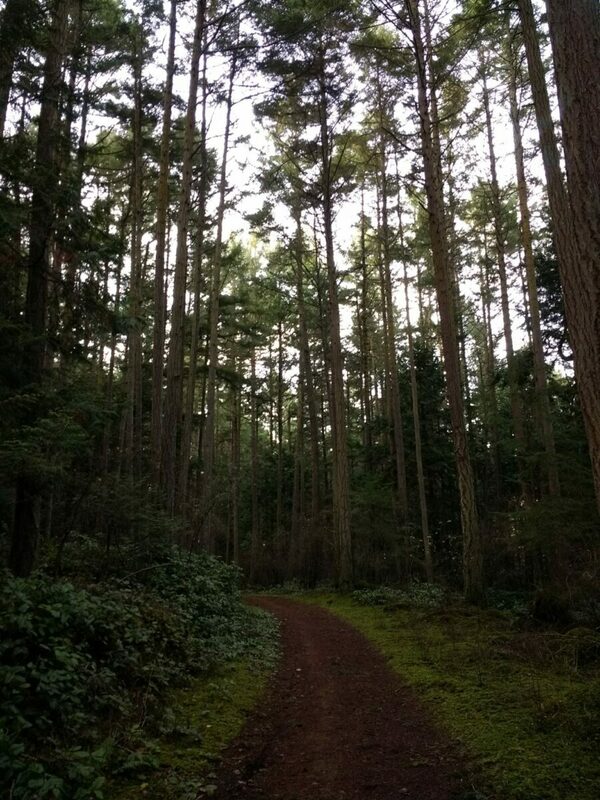 Next you’ll head up Mt Finlayson, but it’s only a few hundred feet! The views continue to be amazing and you are likely to see eagles as well. As you start to descend, ignore the first trail to the left (unless you’d like a shorter option, then take it), continue to the junction about 1.5 miles after the trailhead. Go left here (right will take you down to the Cattle point lighthouse) and you’ll circle back toward the Lagoon. The return is mostly in the shady forest and is goes down, then has a flat section, then climbs again to the parking lot to complete the best hike on San Juan Island! When you return to the trailhead, you’re very near Fourth of July beach if you’d like to get in some beach time too! Looking for other amazing year round hikes? Check them out here!